A vegan diet is defined as plant-based, and avoids consumption of animals or any products derived from animals. 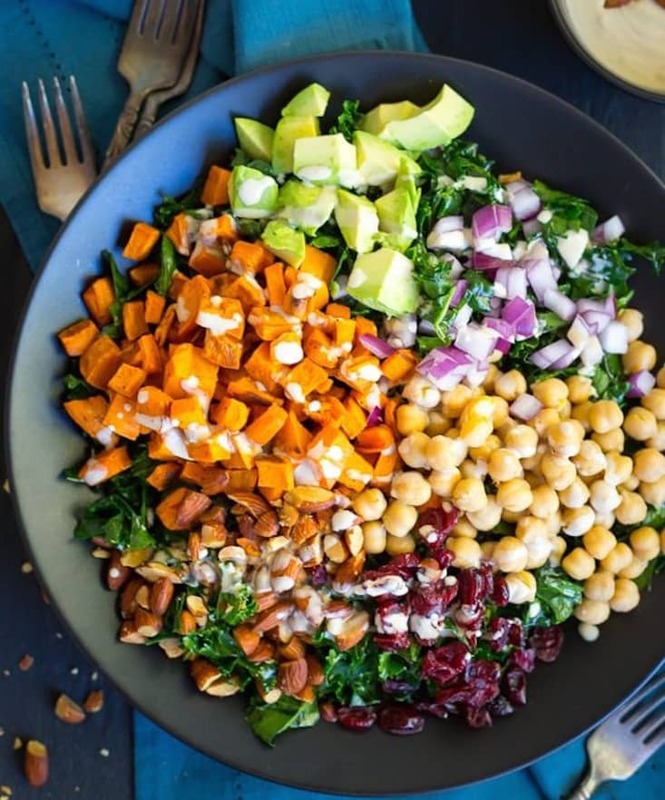 The vegan diet and lifestyle has long been popular, but is becoming more and more mainstream due to its health benefits, ethical concerns toward animals, and its positive impact on the environment. A vegan diet can be a great addition to your yoga practice—all you have to do is start! A plant-based, vegan diet is not the primary food culture in most societies. Those who follow it know that it often makes you think outside the box and forces you to be more mindful about your food choices. Reflecting on the food you eat, including the effect it has on your environment, your body, and other people, can help you become more mindful of your actions on and off the mat. 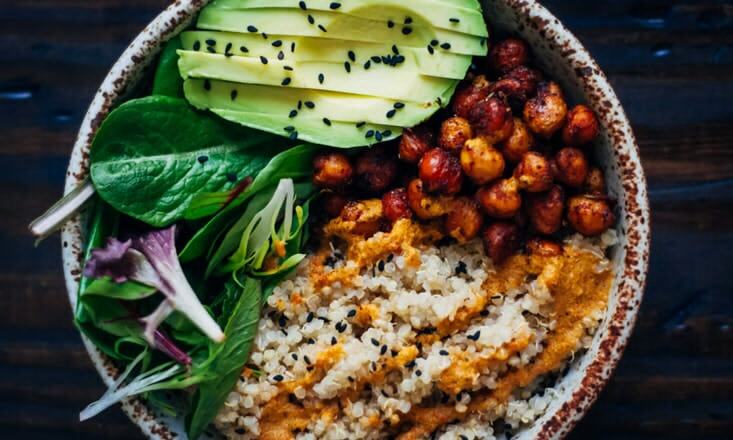 In addition to the spiritual benefits, studies have shown that a well-balanced vegan diet also reduces body weight, lowers blood sugar, promotes heart health, and may reduce the risk of certain cancers. While a vegan diet is ultimately a personal choice and preference, I thought I’d share with you a simple, vegan diet plan that you can easily try out and follow—whether you’re a vegan or simply curious about shifting to a plant-based diet. Each meal is balanced to give you the tastes to keep you satisfied and the nutrition you need to keep your energy up. Note that snacks, including smoothies, fresh fruit, veggies, and nuts, can be added between these meals. 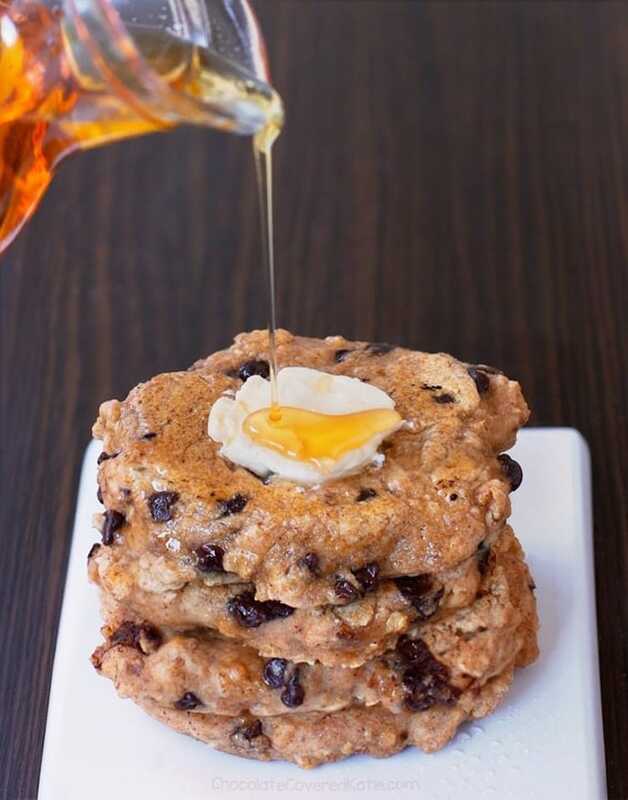 Starting the day with these hearty pancakes will give you the energy you need for the day. Optional toppings include vegan chocolate chips, fruit, honey, coconut or whatever you like! This tangy, crunchy salad is packed with nutrients and easy to make. If kale isn’t your thing, try it with spinach. 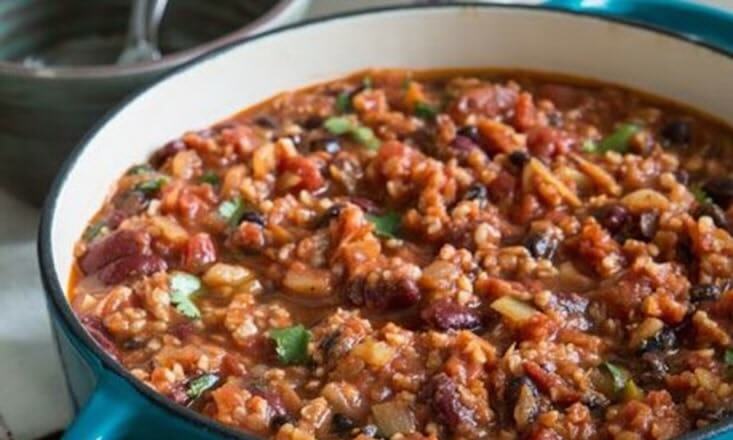 This hearty, warm bowl of chili is full of vegetables, beans, and as spicy as you want. Try it with a slice of vegan corn bread for an extra side. 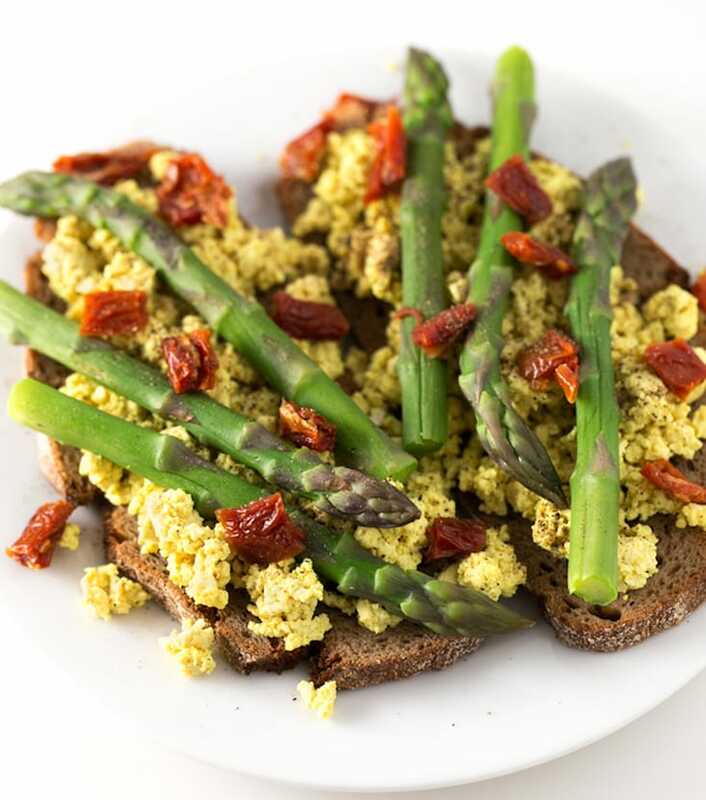 Scrambled eggs are a breakfast favorite, and this tofu variation is just as satisfying. 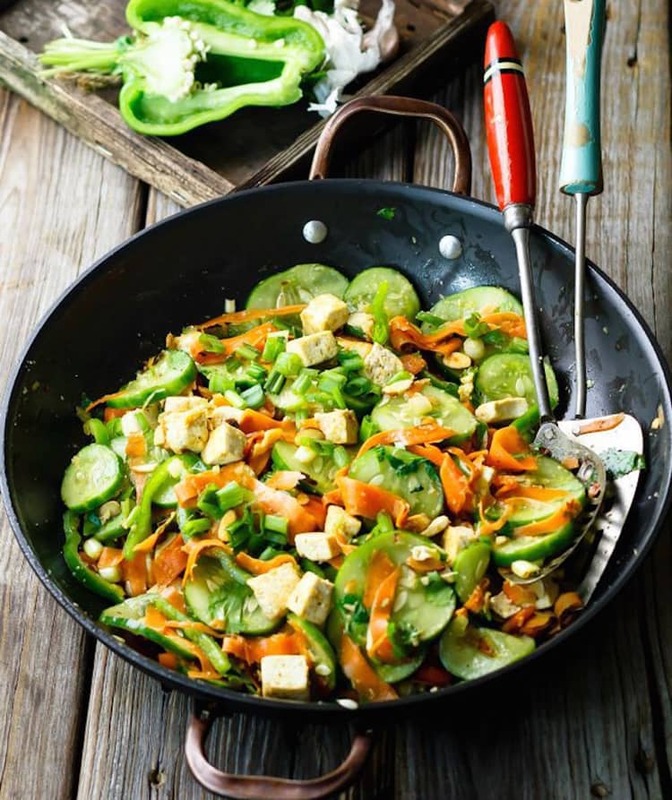 Try it with chopped green peppers and onion to sneak in some extra veggies. 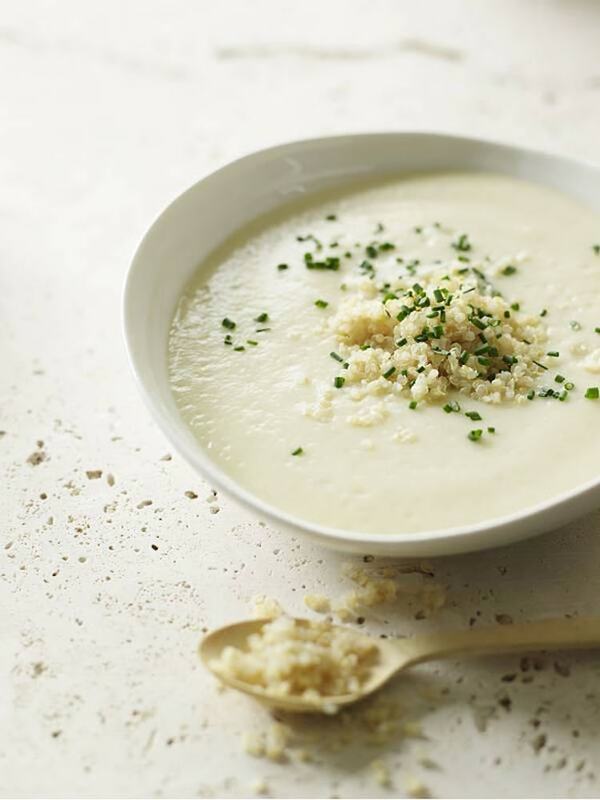 Cauliflower provides an excellent, creamy base for many vegan soups. 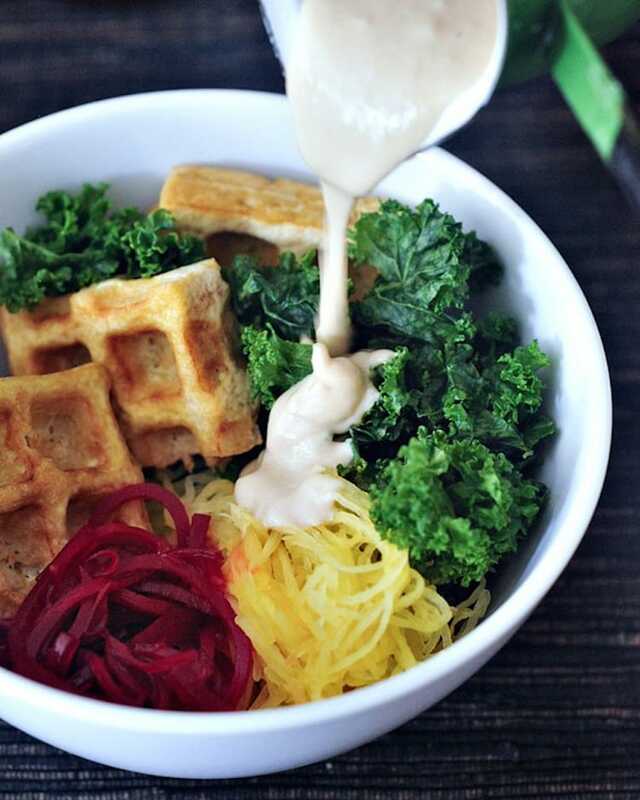 This recipe gives you a bowl backed with fiber and nutrients. 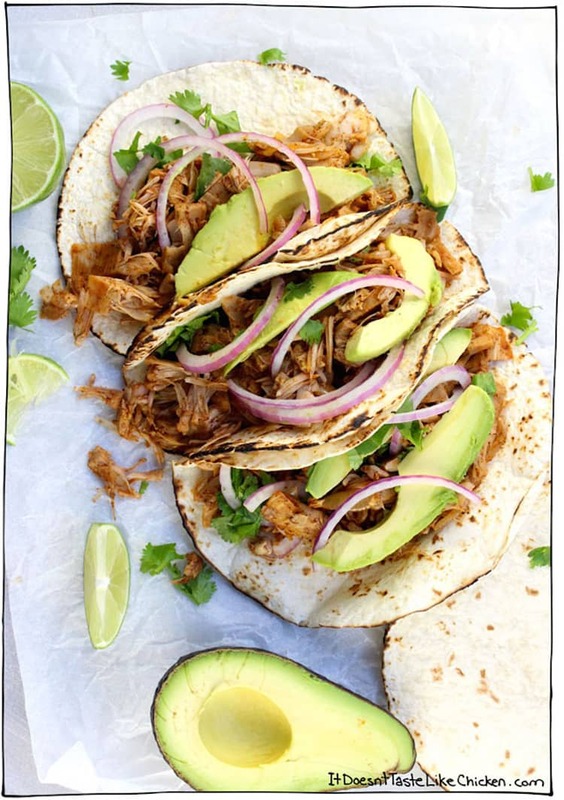 Canned jackfruit has a meaty consistency and is an excellent filling for tacos! This recipe is easy, quick, and tasty. Spice it up and add avocado or a squeeze of lime to finish. A little chia seed goes a long way! 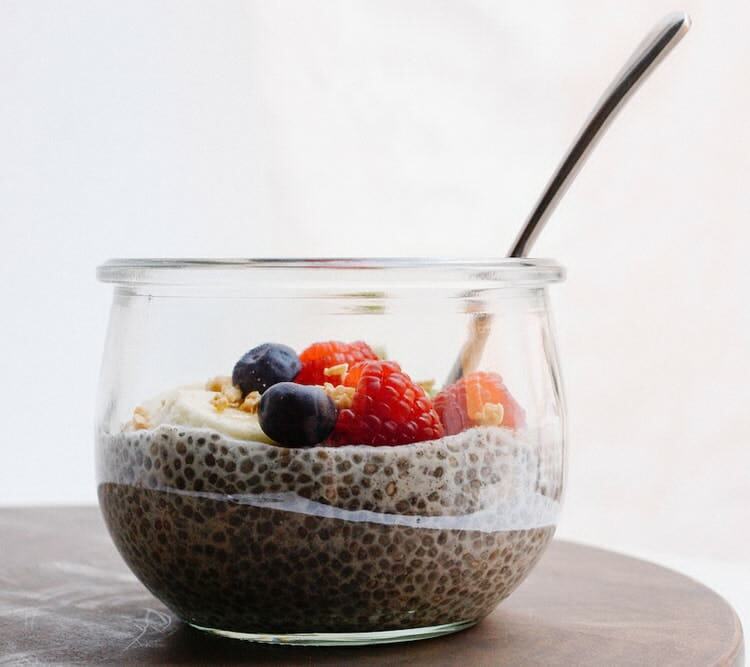 Prepare the seeds to sit overnight, and in the morning you will have a filling breakfast with Omega 3s, fiber and whatever toppings you want. Check out the recipe here. Black beans give you a great dose of fiber and protein. 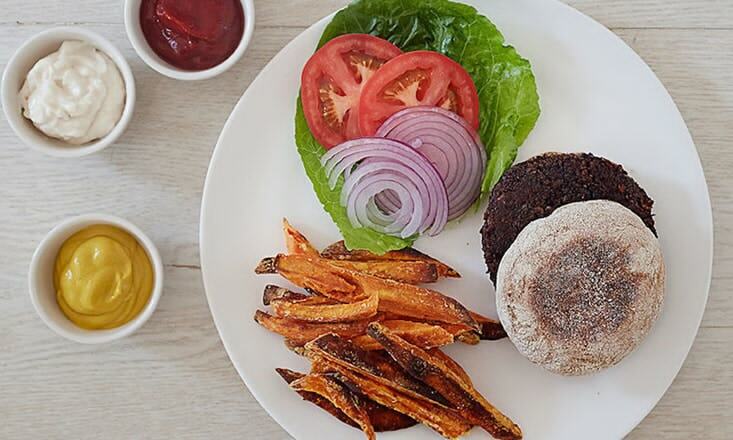 Try this black bean burger recipe with a side of crunchy sweet potato fries to keep you going. Spaghetti squash makes for a delicious noodle alternative! This recipe will help you make it savory and sweet, and you can customize your toppings to make it perfect for you. 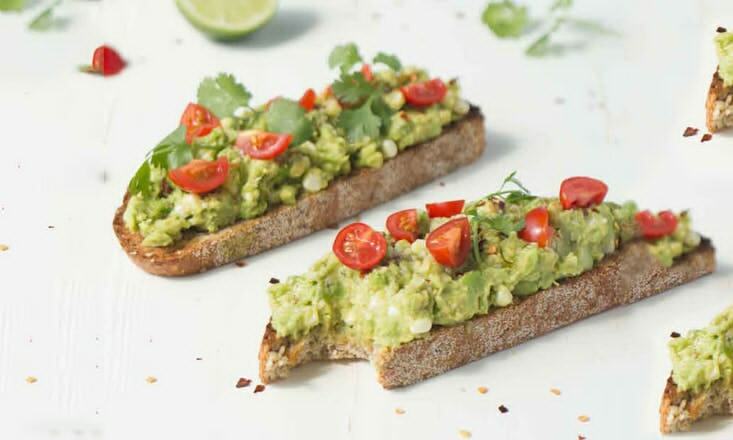 Avocado on toast is trending, and it isn’t hard to see why. 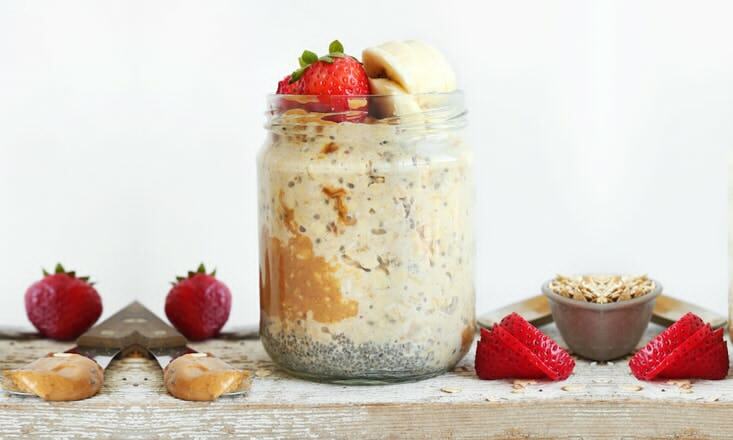 This recipe is fast and easy, and is a nutritious and delicious way to start your day. The combination of cool cucumber and warming spice makes this dish light and satisfying. Creamy coconut milk provides the base for this flavorful and classic Thai dish. Add your favorite veggies and enjoy. Prepare this oatmeal the night before to wake up to an easy, protein-packed breakfast. 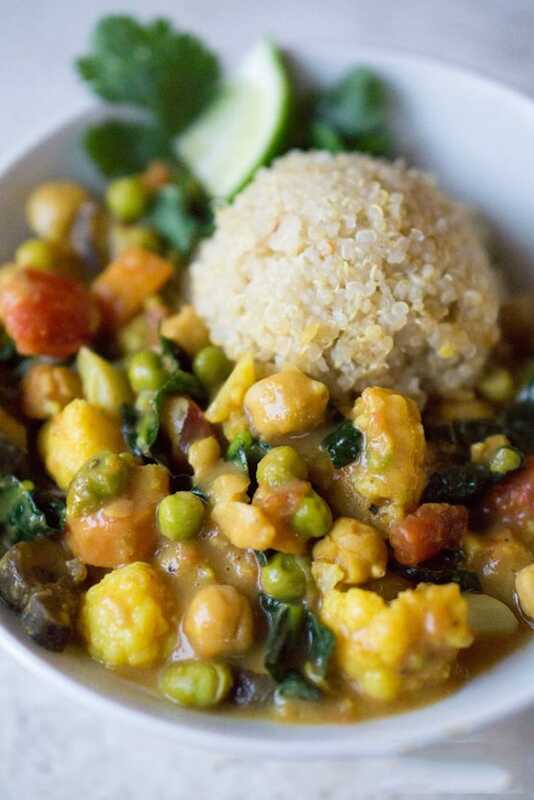 Quinoa, chickpeas, greens, and a yummy red pepper sauce make this recipe filling and well-rounded with nutrients, protein, and fiber. 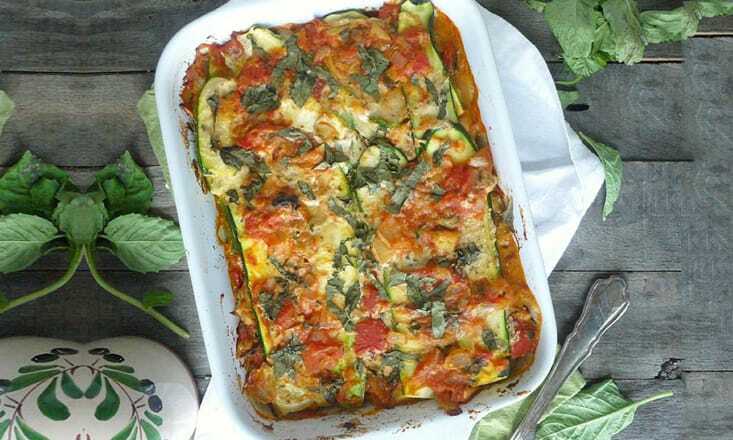 Zucchini can be deliciously transformed into different things, and with this recipe, you’ll be able to eat as noodles! This meal is full of veggies and offers a vegan cheese option, too. Trying a vegan diet can be an informative and powerful experience. It is a time of ultimate food reflection—being mindful of what your food is, what it means, and how this affects your life, health, and even your social relationships. Even if you vary the suggested meals, or don’t stick with it through five whole days, you may be surprised to learn a few things about your appreciation for food and your relationship with it. Give it a shot and let me know how it goes!